I’ll have to break my one-photo rule on the ONE SHOTS category, which I haven’t previously done. 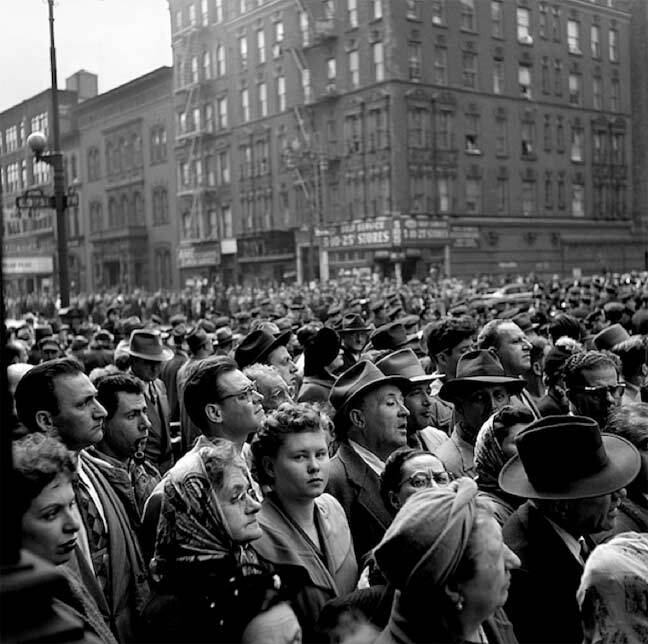 Above is a photo taken sometime in the Fab 50s by previously unheralded photographer Vivian Maier, showing a huge throng facing a speaker who is apparently standing in the middle of 2nd Avenue. The photo isn’t captioned, so I have no idea could have been speaking. It was likely either a labor leader or a stumping politician. In those days, you could draw quite a crowd, with not much on TV and no internet. The shop on the southwest corner was a five and dime store. Visible further down the avenue was the Stuyvesant Polyclinic, built in 1884 to serve the medical needs of a primarily German population. And barely visible at the extreme left is the marquee of the st.marks theatre where you could see $1.00 movies.I saw billy jack there and the patrons were always courteous and well mannered and billy jack sucked out loud.Whatta rip off! Don’t see any traffic signals in the older pic? Do you know if there were any on that portion of Second Ave in the early 1950s, or are they just well hidden? I don’t see the streetlight in the google view. What type was it? At that time you had your bishop crooks or Corvingtons. I grew up just a few blocks from this scene. I recall vividly the crook-shaped lamp posts, in the late-fifties and early sixties. Great pic. Thanks! This must be early 50s, no? When I see these iconic NY street scene pics from that era, it’s hard to imagine that the world really wasn’t just black and white! So hard to imagine this scene in color. That’s an old Google view–that location of Max Brenner closed several months ago. Please post more “then & now” photos like this when you can. 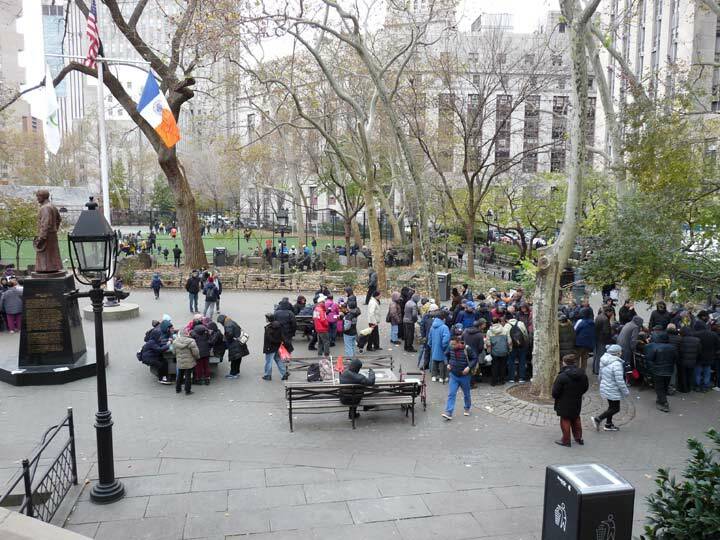 the next time i am in the city. Thank you so much. 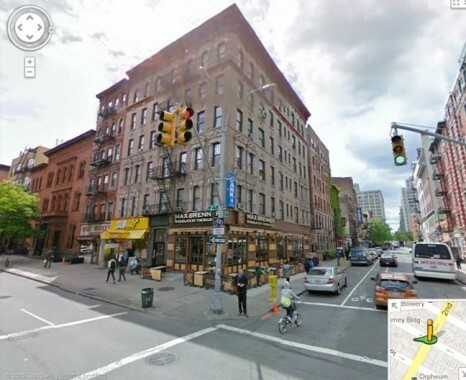 Rudolph Valentino died on August 23, 1926 at Polyclinic Hospital,137 Second Avenue, which is still standing. I moved to the neighbourhood a year ago, never saw that Max Brenner place. It’s a bank now.